National elections were called in Denmark yesterday so for the next three weeks it's going to be dull news days every day. This independent politician was out early, on Thursday, already getting his face in your face. 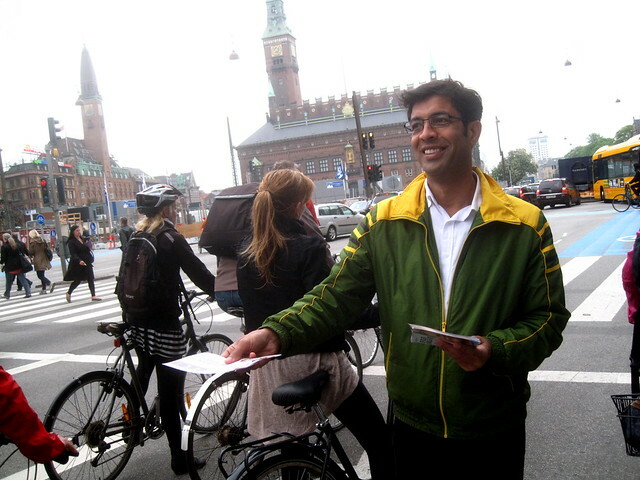 Election posters have been slapped up in 0.5 milliseconds so Copenhagen, which is quite a nice city to look at, is now plastered with smiling, photoshopped photos of politicians and wannabes. And there is no semblance of decent graphic design so this entire capital is one big badly-designed graphic hell in shocking colours. You can't see the election for the forest of posters. Do they really need to plastic strip them to TREES? Or surround the oldest structure in Copenhagen - the old tower on Jarmers Square - with pink posters? Motorists can happily drive past the posters on the streets but cyclists will be bombarded with the plastic smiles of politicans at every busy intersection, handing out brochures, chatting jovially with Joe Public - or maybe that's Lars Public in Denmark, never thought about that before - hoping to convince people to vote for them. 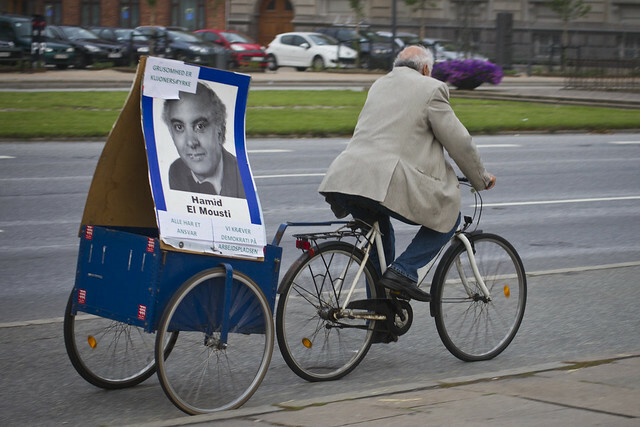 Whatever the case, armadas of bicycles are out there, carrying the posters and election material around, politicians standing on squares next to their cargo bikes, and so on. Which is nice.